I’ve had friends that studied abroad in Peru. 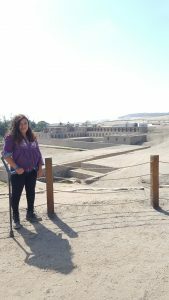 I’ve known people who are from Peru, I’ve heard a lot of great things about it, and I’ve always been fascinated with the Incas and their wonders. The next stop in the itinerary was Peru. I was so excited because I was finally going to see everything I only imagined and heard about from other people. I was also excited because my mom was going to come visit in Peru and she had never traveled outside of Mexico or the U.S before. My first day in Peru was spent walking around Barranco, an upscale area in Lima known for its art murals and peaceful environment. Before porting in Peru, I learned that they have some of the best food in the world! Of course I had to try some famous Anticuchos, which I wasn’t told what they were by anyone until I had them. My mom arrived the second day. It felt a little strange to have my Semester at Sea life and my home life cross over a bit, but it was great. 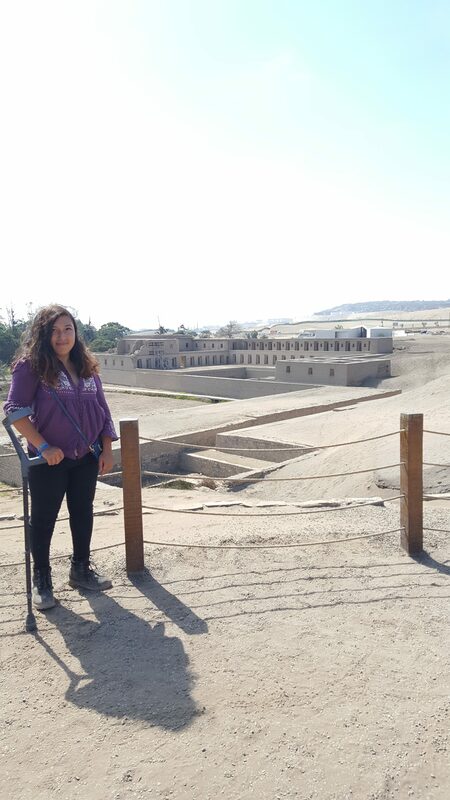 We went to Pachacamac, a preserved smaller Inca site located in Lima. We saw the different types of stones and materials the Incas used to build their ruins. We tried some delicious Peruvian Ceviche and at night we visited a park that holds the world record for the largest number of fountains. They had a cultural water show with lights at night. The third day, I showed my mom around the ship and at night, we had dinner and watched Peruvian folklore performances. On my mom’s last day, we visited Lima’s downtown historical area and saw the Cathedral. The area itself was not as busy as typical tourist areas and the architecture was splendid. 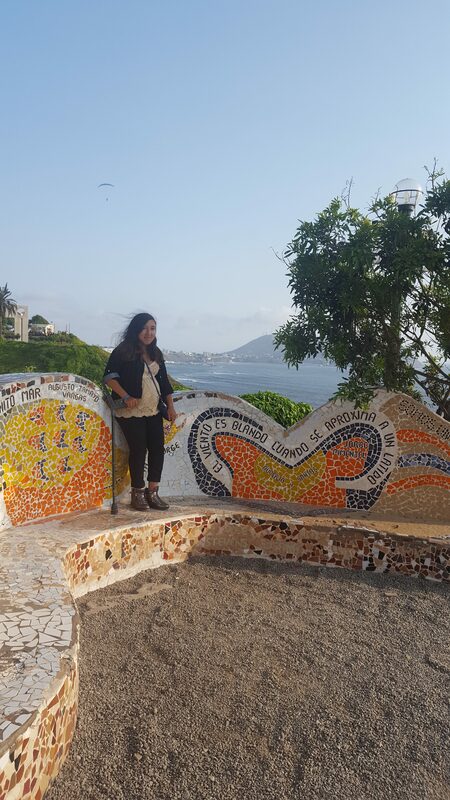 We ended the day by visiting El Parque del Amor, a park that stood at the edge of the cliff overlooking the coast. It was borderd by a wall full of Peruvian poems and mosaics, much similar to Gaudí’s Park Güell. We also had Peruvian sushi which is also a popular thing in Peru. My last day in Peru was spent on the beach relaxing before getting on the ship to go to Ecuador.